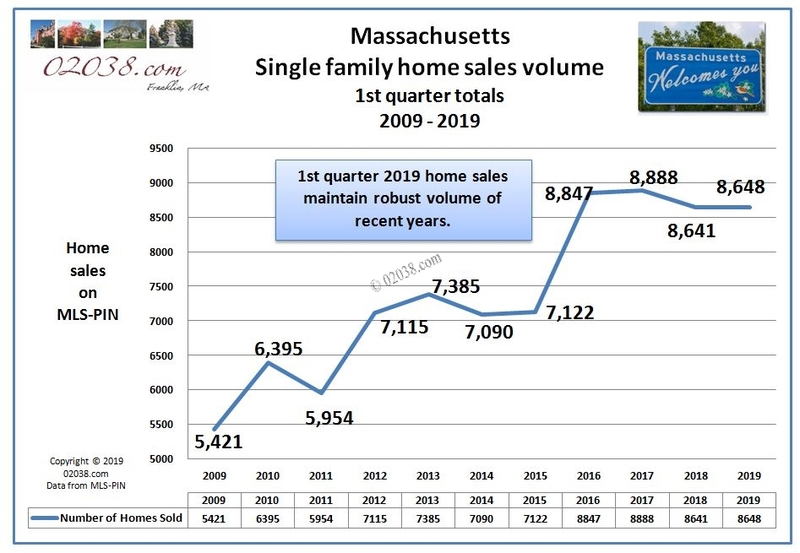 The results are in for home sales in Massachusetts during the first quarter of 2019. 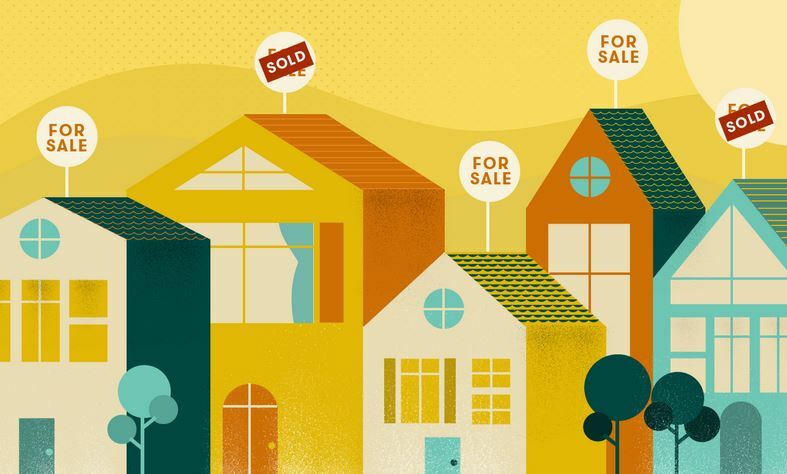 They confirm what many buyers already suspect: home prices are at all-time highs, both in Franklin, MA and in the overall Massachusetts real estate market. At $450,000, the median sale price in Franklin is the highest for the first quarter of any year on record, according to the data maintained by MLS-PIN! The median sale price of single family homes in Franklin rose 4.7% during the first three months of the year, compared to the same period one year ago. It’s the same “record high price” story for all of Massachusetts as well. 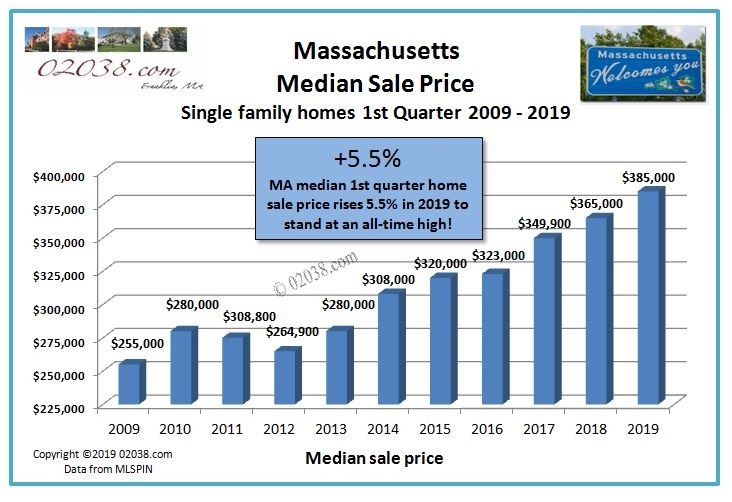 The MA median single family home sale price rose 5.5% in the first quarter of the year to $385,000, an all-time high. That’s a gaudy 51% higher than where the Commonwealth’s median sale price stood back in the first quarter of 2009! 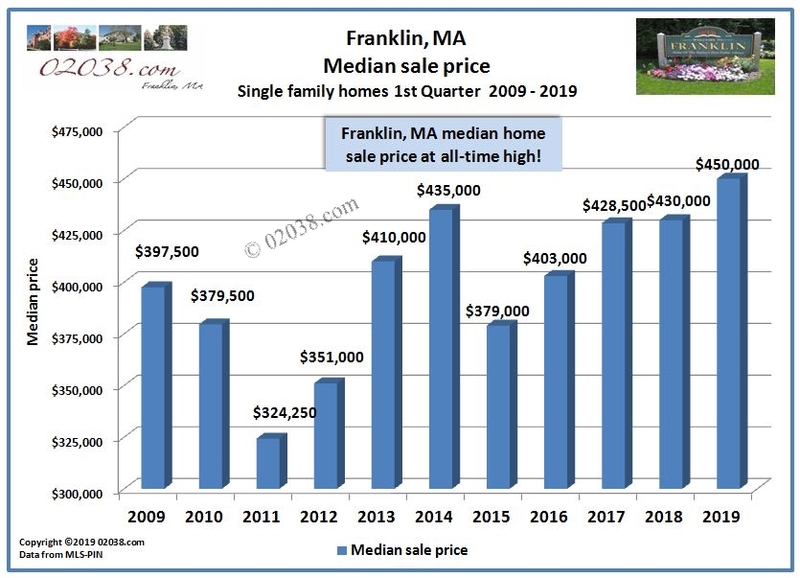 The rise in home prices in Franklin and the rest of Massachusetts in the first three months of 2019 is all the more impressive given the significant weakness the MA housing market experienced during the fall of last year when 30-year mortgage rates hit 5%. The higher rates hurt home buyers’ purchasing power and triggered a sharp drop-off in housing demand last fall. Fortunately, mortgage rates plummeted as 2018 ended, reinvigorating home sales in the Commonwealth. The drop in rates continued throughout the first three months of 2019, further boosting home buyers’ purchasing power during the first quarter. 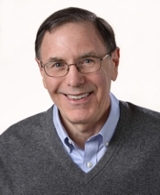 The stimulative effect on demand of those lower mortgage rates certainly is reflected in the number of homes that changed hands in Massachusetts during the first three months of the year. 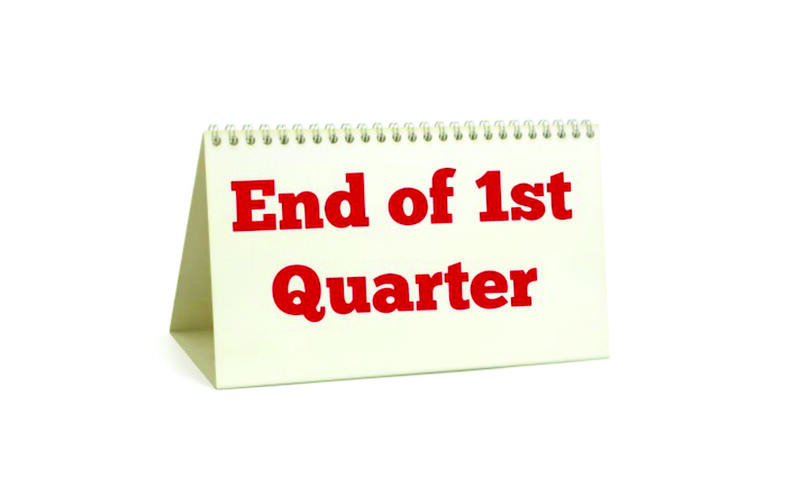 After such a weak housing market last fall, it is highly significant that home sales during the first quarter of this year on MLS-PIN exceeded the sales total posted during the first quarter of 2018. That’s clear proof that housing demand rebounded as mortgage rates fell! Thanks to the decline in interest rates, this is the fourth year in a row that first quarter home sales on MLS-PIN exceeded the 8,500 mark. 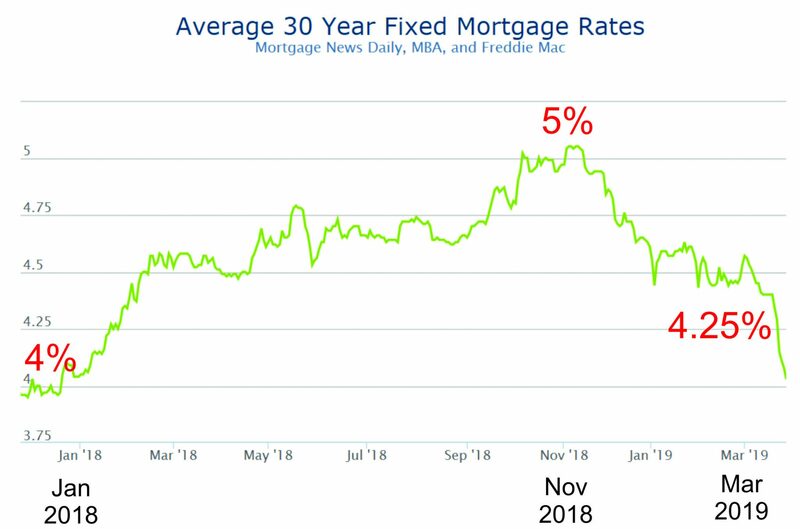 How well the MA housing market performs during the rest of 2019 seems dependent on the direction of mortgage rates. Both the local and national economies appear strong, so a recession this year seems unlikely. Absent some shock to the US economy from abroad, the only creditable risk to local housing in 2019 would seem to be another rise in mortgage interest rates along the lines of what took place last year. As we saw last fall, demand for housing withered as mortgage rates neared and then topped five percent. Unless mortgage rates spike at some point this year, the table appears set for a healthy housing market in Massachusetts for the rest of 2019!